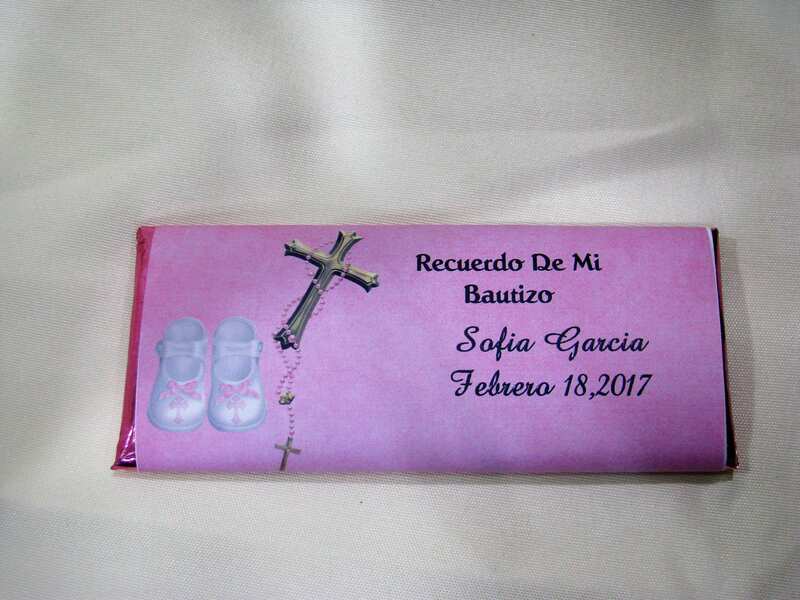 Regular sized Hershey bars wrapped with your personalized wrapper. 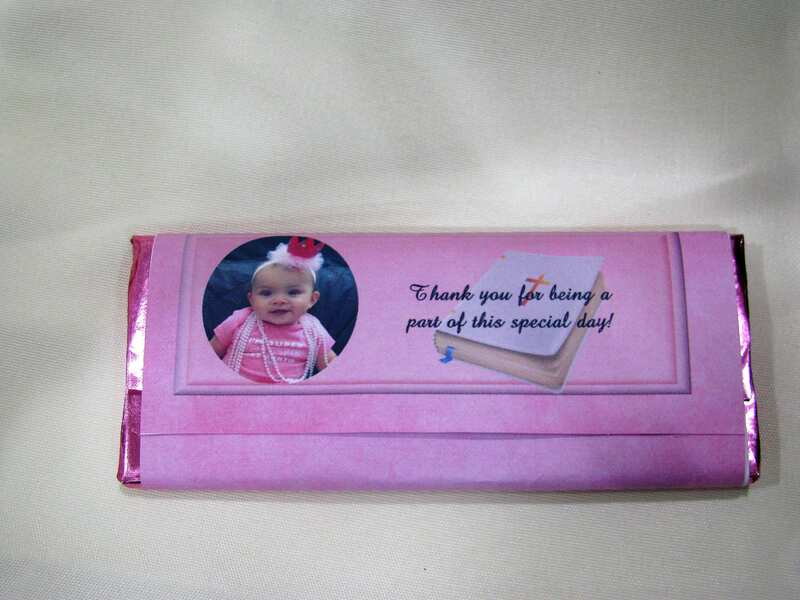 These can be custom designed (you can just purchase it, my items are always customized and personalized). 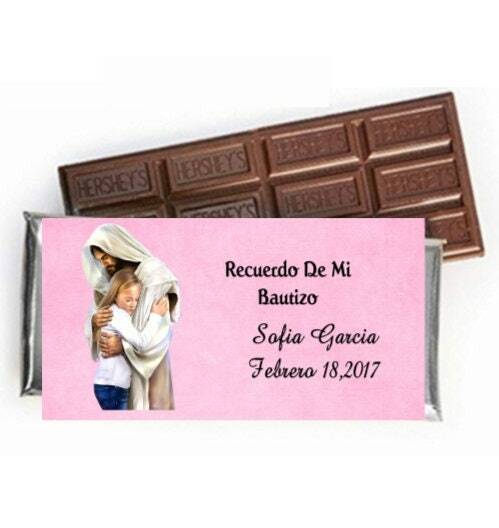 $3.00 each bar. 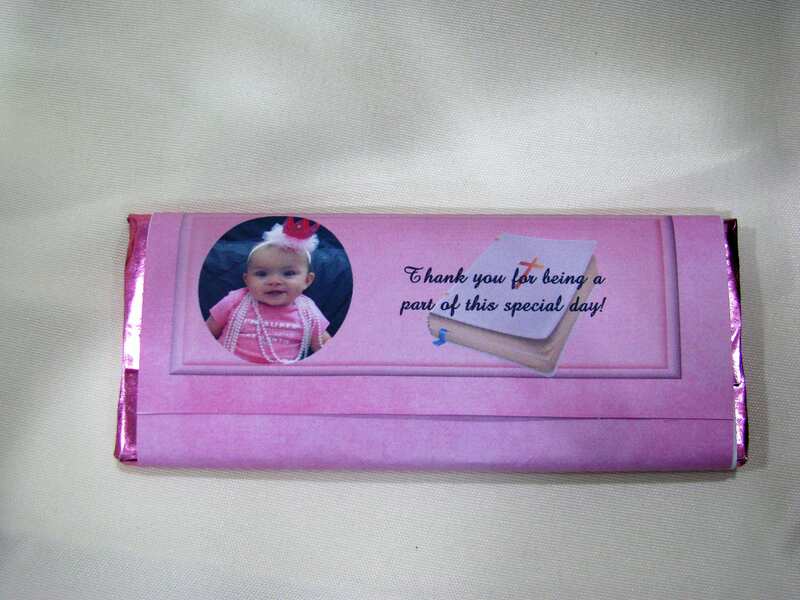 Which includes the bar, the wrapper, the foil, and a clear plastic sleeve to protect it. 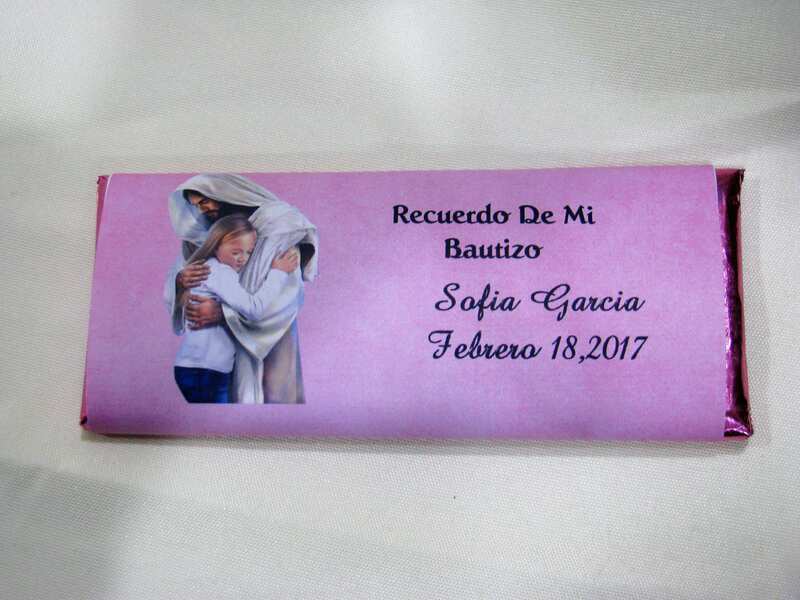 Let us help you make your child's Christening, Baptism, Dedication or First Communion really special with these unique favors that are great thank you gifts for all your guests!! Please convo me if you need more than 60, this is just for shipping reasons.